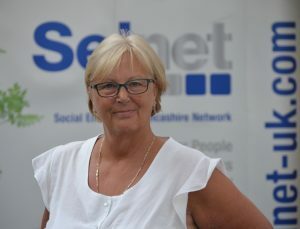 Liz is the driving force behind Selnet and has been responsible for developing it into the major infrastructure organisation that it is today. 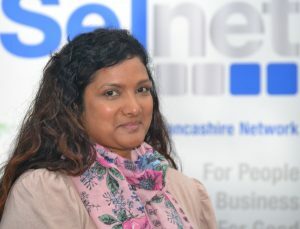 A chartered business adviser and business mentor, she has extensive experience of business support programmes having worked for, and with, local authorities across the North West throughout her career. She specialises in finance and accounts and is able to support clients in all aspects of financial planning. Liz’s main role as CEO is to ensure that Selnet can deliver on its contracts and that the business is sustainable for the long term. To do this, she works closely with the board of directors to make sure that the whole team pulls in the same direction. 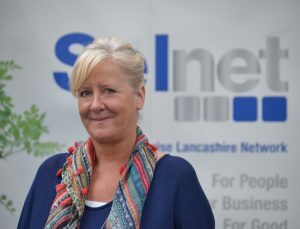 Liz is perhaps best known in Lancashire as an advocate for the social enterprise sector and regularly undertakes speaking engagements and media articles to promote the work of local social businesses. She represents Lancashire as a sub-region of the North West. Liz was recognised as one of the UK’s social enterprise leaders in 2017 when she was awarded one of the First Honorary Social Enterprise UK Fellowships. 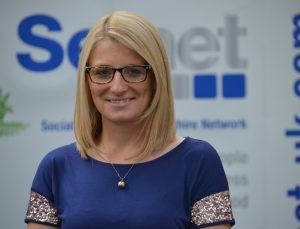 In November 2018 Liz gained further national recognition at the Social Enterprise UK awards event, being named as the UK’s most influential woman in social enterprise. 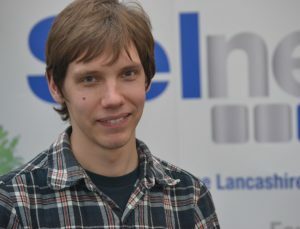 Andrew has been with Selnet since 2008; his skills and knowledge have grown as the organisation has developed and he remains an invaluable member of the Selnet team. 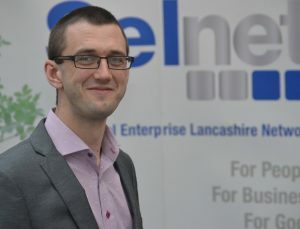 Andrew developed the concept for SelWeb, Selnet’s web hosting service to ensure that members could access web resources for their business at a realistic cost. 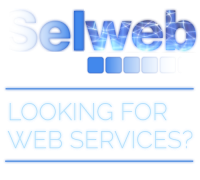 He continues to work with SelWeb customers to train, develop and support them to maintain and further develop their company websites. Additionally, within his current role he maintains a Selnet web presence across all operational activity. Andrew supports the delivery of the Building Better Opportunities programme, leading all technology and website activity, particularly the partnerships’ online project delivery resources. Andrew administrates Selnet board and the two main events in the Selnet calendar – the Annual Awards and AGM. He supports members and partners with web-based and IT concerns and works across all programmes supporting the team’s delivery. He is responsible for all electronic systems and is able to troubleshoot and fix most any operational difficulties. In 2017 Dawn joined the Selnet team as our Network Coordinator and maintains a position on the board. 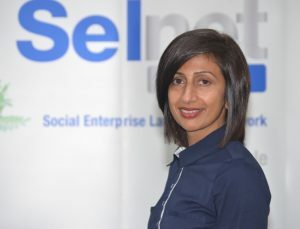 Dawn leads on Selnet’s communications, programme brand compliance and bid writing. Within our Building Better Opportunities Programme Dawn leads on communications, design of project marketing materials and has become something of an expert in EU branding rules. Selnet are currently recruiting for a dynamic individual with experience of high-level finance to join our fantastic team in Preston. We are recruiting on a rolling basis and invite interested candidates to submit a CV expressing their interest in the role. We will invite selected candidates for an informal discussion about the opportunity and recruitment for this role will cease once the post has been filled. Read more about the Finance Officer role. 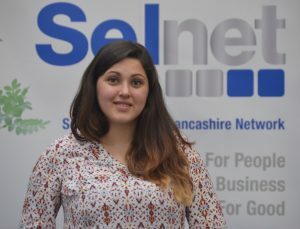 As Partnership Manager, Donna leads the Building Better Opportunities team at Selnet who work across our Age of Opportunity, Invest in Youth and Changing Futures projects. 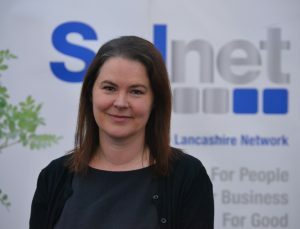 Donna joined us from Regenerate Pennine Lancashire where she took responsibility for four large projects, three European funded, with a total budget of £2.3M. She has an honours degree in Business Administration and is a qualified Prince2 Practitioner. Donna is a strong supporter of networks and believes much can be achieved within the VCSE Sector by organisations working collaboratively. In terms of internal processes within organisations, she has extensive experience of audits to European level and has many examples of best practice. She also has considerable experience in bid writing and developing continuation strategies for projects that are coming to the end of a funded period. Before joining Selnet, Jan was employed by Community & Business Partners CIC for 10 years, working to develop and manage projects for disadvantaged adults and children. Jan set up and managed the Energy Zone, one of the first asset transfers in the country, a community venue in Blackburn with Darwen, offering a wide range of training, support, opportunities and inclusion for marginalised individuals. She has an impressive record on delivering successful programmes funded by all the major third sector funding bodies. 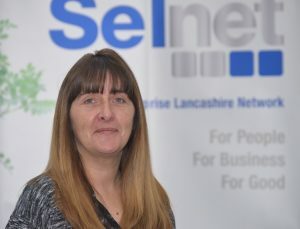 Jan is a highly motivational manager applies her skills and experience in her work as Project Lead Officer on the Building Better Opportunities programme managed by Selnet. Alison has a background in managing European funding programmes, regeneration and external funding gained over a 15-year career working in local government in Great Manchester and Lancashire. 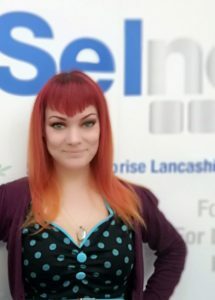 She then moved into the VCSE sector building up strong networks and prior to joining the Selnet team worked for Disability Advice West Lancs, based in Skelmersdale. She has a Master’s Degree in Public Administration and over her working career she has gained valuable experience and knowledge within the business and public sector and their funding regimes. Alison brings these skills and experience to work with the Selnet Building Better Opportunities team and embraces the challenges in working with the diverse partners as Project Lead Officer working across the BBO projects. 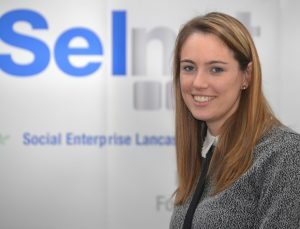 Ruby’s experience stems from working in the Voluntary Community and Social Enterprise sector across Lancashire. She has been recognised for her strong project management skills and the ability to work with project teams helping people to achieve the best results. Ruby previously managed a Big Lottery funded national wellbeing programme to improve health and wellbeing in socio-economically disadvantaged areas and was able to sustain the continuation of the work by developing community owned initiatives. She works well in partnership and can support organisations to scale activities to meet the needs of beneficiaries who in many cases are the hardest to reach. Amanda joined the team bringing with her a wealth of experience within funded projects focusing on helping people back into work such as New Deal, Response to Redundancy and Study Programme. Amanda has a strong background in the education sector, adopting several roles including tutor, assessor, internal verifier and safeguarding. She is passionate about enabling young people to overcome barriers, gain qualifications and ultimately move into jobs. Amanda has a keen interest in quality assurance and enjoys finding ways to make the customer experience a valuable and consistent one. She enjoys working with delivery partners and building great relationships. Prior to joining Selnet Tom worked in a number of administrative roles in the private sector with a recent focus on analysing financial information and drafting annual reports for a debt management organisation. He is now employed as part of the BBO project team, where he deals primarily with monitoring and compliance issues relating to project participants and their files, as well as supporting our delivery partners with their queries. Not much gets past Tom as he has an admirable ability to absorb and process large amounts of data, which is useful as there will be over 3000 BBO participants on record by the end of 2019! I joined the team in January 2017 as project administrator for Building Better Opportunities. I stepped up into the role of Contract Support Officer and recently moved into the position of BBO Monitoring and Compliance Officer. I now balance my time between this role and BBO Administration. I come from a background in primary teaching and supporting children with special needs. Before this I spent many years in the retail sector where I picked up a variety of skills but most importantly customer service. I am often the first person you will speak to on the phone, help you out with VIEWs, meets and greets you in the office and makes you a cuppa! Andrew joined the Selnet team in September 2017 as a Monitoring Officer for the Building Better Opportunities projects. After graduating from The University of Manchester in 2008, he gained experience in a variety of roles, primarily within the financial services sector. Andrew has a strong background in financial claims and document checking, having worked previously as an Insolvency Claims Expert and a Case Manager for a mortgage broker. Andrew developed an interest in the VCSE sector and so made the move to Selnet, where he primarily deals with the monitoring of partners’ financial claims.